Much Ado About Nothing Cast Announced! We are delighted to announce the very talented cast for our upcoming production of Much Ado About Nothing. Much Ado About Nothing will be performed at the RSC’s Dell stage on Saturday 1st July and will be directed by Victor Correia. We are finalising London dates as we speak, so keep an eye on our production page for further announcements! We are delighted to announce the writers, directors and cast for our upcoming new writing showcase, Let The Write One In, which will be performed at The Vaults on March 12th. Following the success of their previous nights of new writing, Front of House Theatre Company returns to The Vaults with their third new writing showcase, Let the Write One In. With a mixture of new and returning writers and directors, the show features six brand new pays produced and performed by the Front of House staff at a certain large concrete building on the South Bank. Full details of the show are available on our production page. We are pleased to announce that ‘Hark, Villains!’, one of our short films made for #Shakespeare400 will be screened at the Institute of Contemporary Arts on Sunday 8th January at 18:30 as part of the London Short Film Festival‘s ‘New Shorts – Experiments: Left-field and Luscious’. Reacting against the global backdrop of patriarchally-instigated brutality, warfare, and anti-humanitarian action, ‘Hark, Villains!’ attempts to question notions and expectations of gender in relation to violence, power, and retribution. Carrie Hill stars as Titus Andronicus in this short film directed by Neil Clarke and Dana Olarescu. You can find more details about the other films we produced for #Shakespeare400 here. We’ve got a number of exciting upcoming projects, so here’s what’s up! Our first full length show, Merely the Dreams of Children is a semi-verbatim play charting the extraordinary journeys taken by the children in the Kindertransport programme during WWII. The project will be written by Katie-Ann McDonough and Daisy Watford and directed by Katie-Ann McDonough, with puppetry direction by Harriet Ziebell. Merely The Dreams of Children tells the stories of 6 children making their way from Nazi Germany to Britain in 1938 as part of the Kindertransport movement. We follow the refugees as they make their way by train and boat to London’s Liverpool Street Station. Focusing on the journey itself, we follow the children’s first steps away from their lives in Germany and explore their hopes and expectations as they escape persecution. Merging reality with fantasy, each child’s dreams, hopes, and expectations are brought to life using puppetry, movement, sound, and music. Keep an eye on our current productions for more details as they emerge. As part of our Outreach scheme, we have been approached to create a piece of theatre for the National Trust’s newest property, Rainham Hall in Essex. 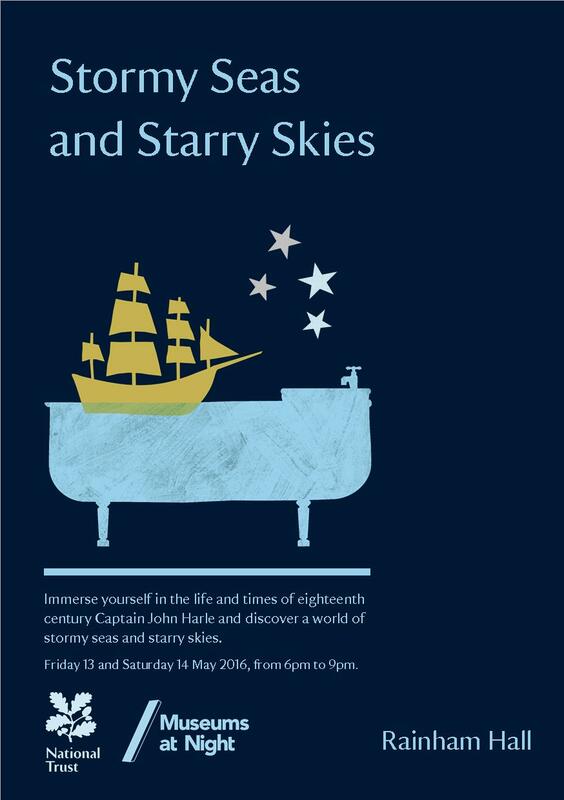 Exploring the world of the 18th century coffee house and the lives of sailors from the era, the piece will be performed on May 13th and 14th as part of Museums at Night. Tickets go on sale in early April. Our next Skills Exchange workshop will be on Sunday 3rd April, when Helen Thomas will be leading a workshop on Ballroom and Latin dance (time TBC). Over three hours, participants will learn four dances, Waltz, Quickstep, Cha Cha and Jive. The workshop is suitable for complete beginners, although more experienced dancers are welcome too, and there is no need to bring a partner. This workshop will be open to any one who works in the building, whether front or back of house. 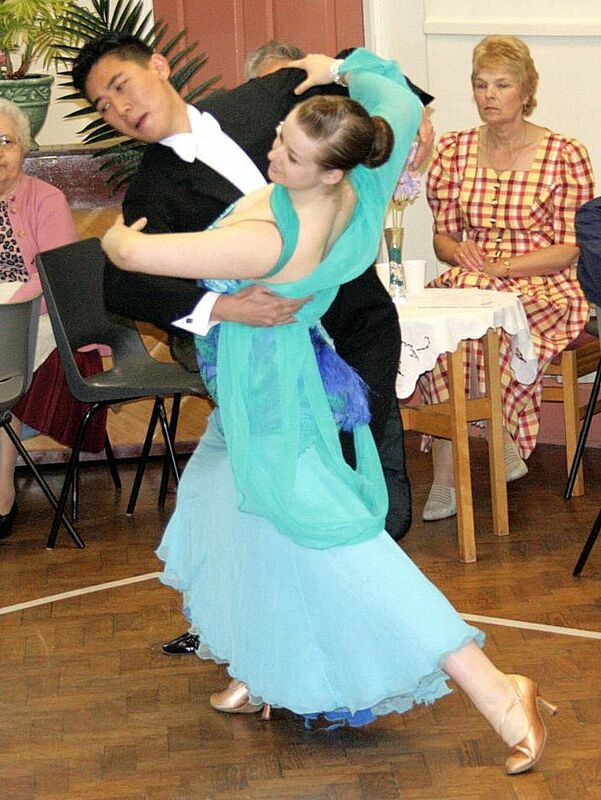 Helen has been dancing since she was 2 and has trained and competed in ballroom dance for the last 10 years. She was the Captain of her University Dancesport team and led them to their first national title at Blackpool. Email us at fohtheatrecompany@gmail.com with the subject line ‘Ballroom and Latin’ to reserve your place now. We’re currently going through submissions for our third new writing showcase. Look out for more details coming soon. We also say farewell to Vander da Silva who is heading to Australia to pursue exciting new opportunities. Associate Director, Brigitte Adela will be stepping down from the Front of House Theatre Creative Team to concentrate on running her own theatre company, Written Foundations. We would like to welcome two new members to the team, Katie Overstall and Carla Almeida. Katie will be joining us as an Associate Artist and Carla as an Associate Producer. Check out our Who’s Who page for more information. As we mentioned above, we have a new website! This is the place to come for information on our upcoming projects, previous productions and Skills Exchange and Outreach programmes. We’d especially like to thank Alex Grey for designing our fantastic new logo. To find out more about our talented members, head to our Previous Production pages and click on the links. We’re also introducing a new feature, a monthly update of what all our lovely members are up to. Keep an eye on the homepage for that. Sunday 15th March saw Front of House Theatre Company return to The Vaults after their sell-out debut show in December. Write Here, Write Now (another new writing showcase) proved to be another success for us, with not only a sell-out audience, but glowing reviews. and gave us a fantastic **** rating! Congratulations to everyone who was involved in the show, and thank you to everyone that came down to support us. and London Theatre’s review here.